We are very proud to partner with Su Refugio! Our decision to partner with Su Refugio was a natural one for a very simple reason. Doctor’s Financial Network and Su Refugio operate with the same purpose; to provide people with the necessary resources which offer comfort and security in a time of distress. While children make up only 1/3 of the earth’s population, they make up HALF of those living in extreme poverty. In South America nearly 70% of the population lives below the global poverty rate of less than $1.00 a day. In this very dire situation, food is extremely scarce. It is the vision & purpose of Su Refugio Ministries to meet these children “in their distress”. SRM seeks to care for orphans and widows in a tangible, impactful and sustainable way by providing for their needs and teaching them how to do the same. 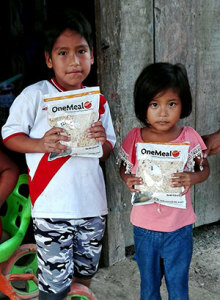 Currently operating in the countries of Paraguay, Peru and Argentina SRM runs various community outreach centers, residential-style homes for abused children, vocational training centers for women, schools and various feeding centers. 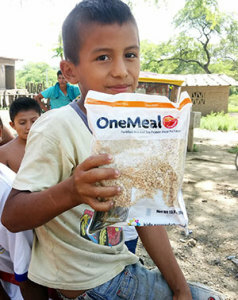 Through various global partnerships we are seeking to ensure that every child is fed, protected, known & loved. Together we are making an impact! 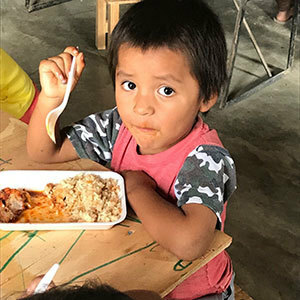 With every new client we serve, Doctor’s Financial Network is providing 100 meals to the beautiful children Su Refugio is able to reach. As a client or future client of ours we want to thank you for making this a possibility. As you continue to allow us to serve you, our ability to serve others and the impact we make grows stronger every day.